​Our adventure with the Andalus​ian horse began in 2003. We never could have imagined that a single encounter with one horse would change our lives. We were moved by the quiet strength, intelligent mind, and ethereal beauty of this magnificent breed. Creating Goodrich Farms has been an education in a history and tradition of Spanish breeding that spans hundreds of years. The historic integrity and strength of the Spanish and Portuguese bloodlines have been monumental in providing us with the horses we have today. Perhaps it is this great legacy that first inspired us to become involved with the Andalusian horse and its future, both here in the United States and abroad. We purchased our first three horses in 2003 from Rainey Valley Farm; thus began the evolution of our breeding program. Shortly after, we acquired our first PRE mare from Jackass Mountain Ranch. 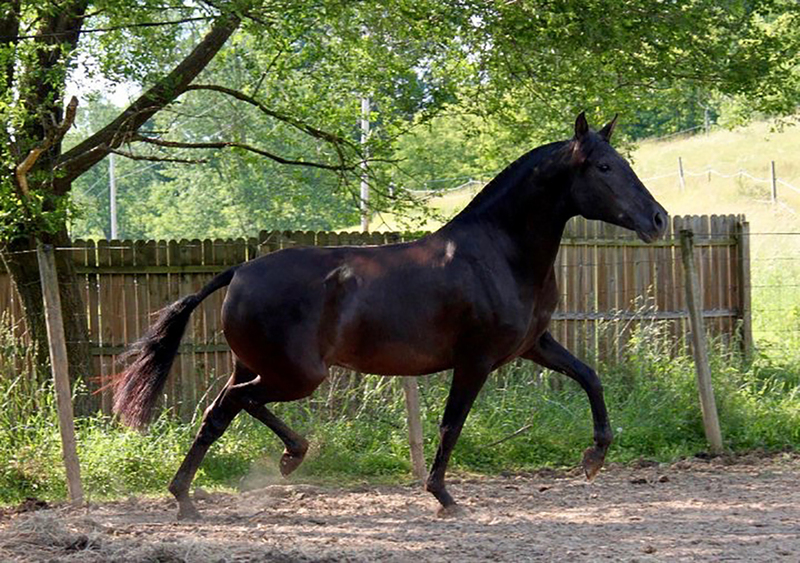 Each of our mares has been individually chosen for her distinct bloodlines, which have been historically proven both in and out of the show ring. We are very proud of the National and Regional titles awarded to several of our horses, and we work toward continuing to build this legacy. At Goodrich Farms, we strive to choose stallions for our mares that we believe define excellence within the breed. The sires selected have all achieved, or produced offspring that have achieved, National Champion status with IALHA, USDF, FPSH, and Revision with ANCCE. Ultimately, the goal is to produce a foal of superior quality to either sire or dam, a lofty proposition to be sure. 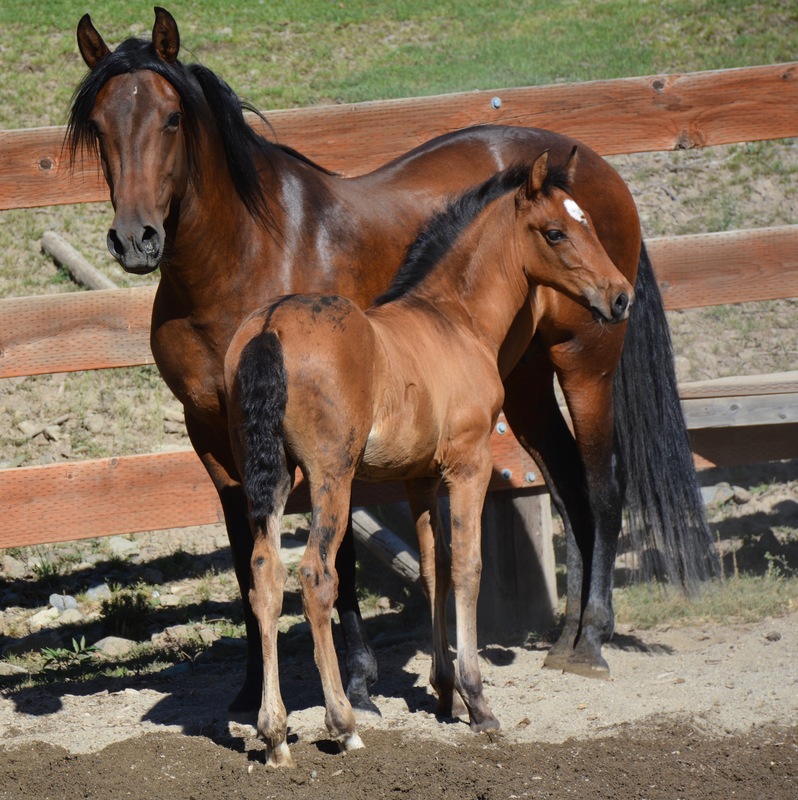 Living in Eastern Oregon has provided us with an optimum environment for horses to thrive. 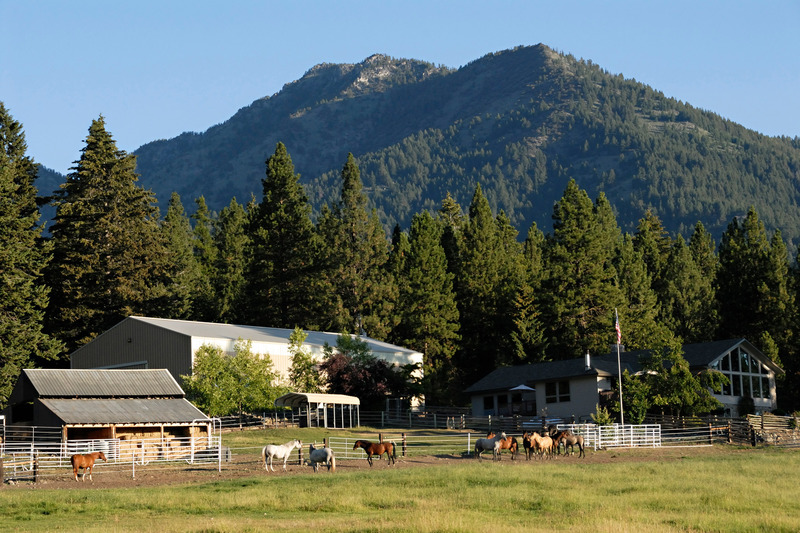 The ranch is situated on 64 acres at the base of the Elkhorn Mountains in Baker City, Oregon. With large pastures, mature trees, natural streams, and plenty of rocky hills to run in, the horses enjoy a great place to grow up. The natural terrain encourages exercise and interaction within the herd. We believe that the herd environment is key in raising a healthy well balanced horse. The seasons here are diverse so the horses are well acclimated to heavy winters and warm summers. It is a beautiful place we are blessed to enjoy. As our training program has developed over these few short years, we find ourselves embracing the philosophies behind Natural Horsemanship more and more. The Andalusian horse is very relationship oriented, responding to human interaction in a way that is almost magical. They are trustworthy and loyal by nature, quickly becoming a friend like none other.It is fair to say that everything we do with these horses is about that relationship and where we want it to take us, competition in the show ring, trail riding, breeding, or simply the pleasure of owning one of these majestic horses. We begin working with our foals at birth, habituating them to human interaction. Working in small increments of time we are able to establish an early partnership of trust and respect. 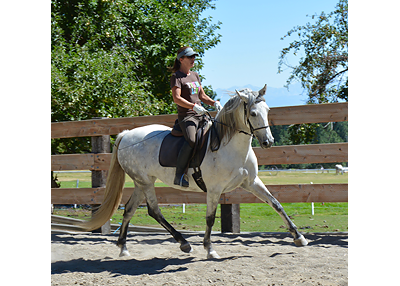 By the time they are yearlings, they have been on a regular schedule with the Ferrier, know their way in and out of the trailer, lead, tie, and know some basic ground school games that aid them in finding balance in their gaits. 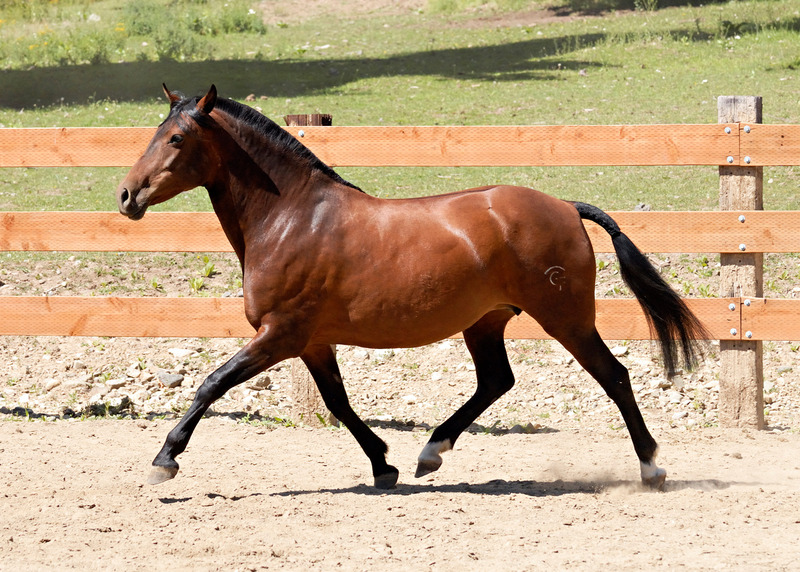 In all aspects of training we focus on both the physical and emotional fitness of the horse. Whether on the ground or under saddle, we are about equipping the young horse with the skills they will need to deal with their future careers. We have two gifted trainers that work with our horses, both of which have a tremendous amount of experience and education, Angi Brashler and Katie Lay. As the program has developed, I have been continually impressed with how each horse’s needs are individually met. As I watch and learn, I am inspired and driven to be better in my own horsemanship. 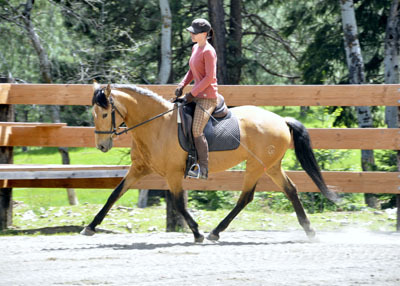 The goal is to have a well balanced, young horse that is engaged and thinking under saddle. It is our hope and belief that putting this tremendous amount of time into our young horses produces a superior candidate for anyone looking to ride their dream.